Reiki is not a massage, but it can get combined with one. I mostly give Reiki with natural essential Oils. Surely I will use some Rose Oil for the heart chakra. Reiki is a very balancing hands-on healing method that can be combined with any other treatment or medication. It is safe and allows you to receive a huge amount of pure channelled life force energy. This means you will feel deeper relaxed and still energized after a Reiki Session. Reiki comes originally from Japan, but it is said that also Buddha and Jesus were healing with their hands. Scientists proved that during a Reiki Treatment the healer channels 1000 times more energy with the hands than with other parts of the body. The Courses take place in my flat in Vienna, at retreat centres all around the world or elsewhere upon request. One level takes 10 hours, it will be split to two days and includes script, certificate and practice. It was an honour to teach the wonderful power-woman Katitza Rodriguez, the director of the international rights organisation EFF. 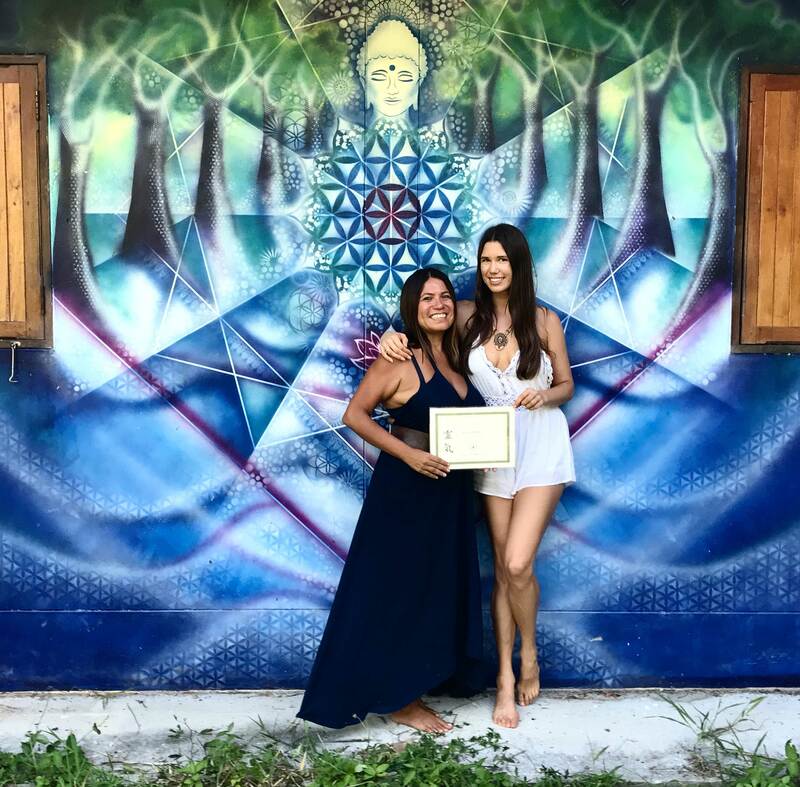 Congratulations for your Reiki Certificate, you beautiful soul!